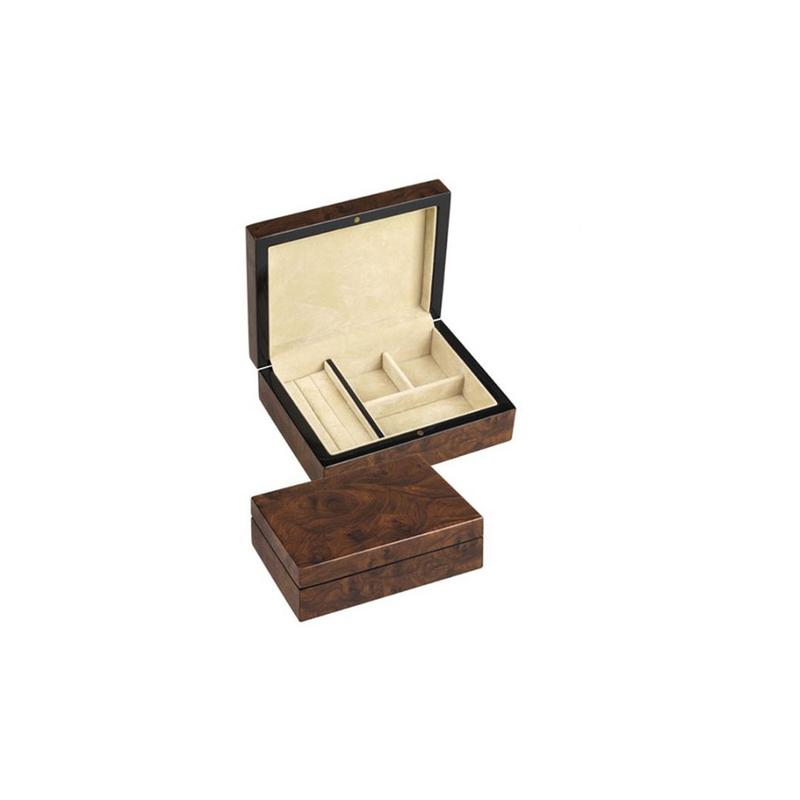 This fabulous dark veneered jewellery box comes with an inner tray and is sent boxed for the presentation and protection of the product. Delivery will be £7.45 to any UK address, special delivery by the Royal Mail. This item will be dispatched 1-2 days after receipt of the order. Delivery will be 2-3 days after placing your order unless you have requested our engraving service, in which case delivery will be 5-7 days after placing your order. We will notify you once your order has been dispatched.